I look forward to these classes very much. 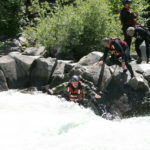 The PJs are an adventurous group of young men faced with active duty deployment Search and Rescue missions for the….. 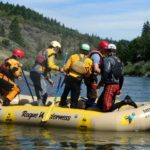 Thanks to Rogue Wilderness and their guides for a great few days of training. 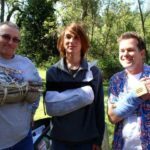 We kicked off the 3-day training with a fun, albeit bloody, day of wilderness first aid,….. So says the boy scout motto: Always be prepared. 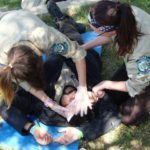 The ten scouts and parents who took our 2-day wilderness first aid training this past weekend in Coloma are hopefully now….. Thank you to the California Conservation Corps. 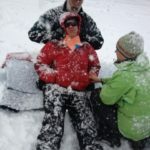 We had a great two days teaching the new backcountry crews wilderness first aid and CPR. 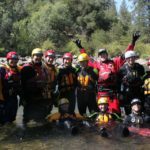 A special thanks to the administrators and…..
An advanced swiftwater rescue course can be pretty hard to pull off with such a small group, but these guys were up for the challenge. We had fair weather with a bit of…..
Sierra Rescue/Rescue 3 West had the extreme honor of training some of the New York City Fire Department (FDNY) guys. We had tons of fun in Coloma and Lotus on…..
Julie and Abi just returned back from Arizona. They had a bunch of great courses down in Flagstaff and on the Salt River. 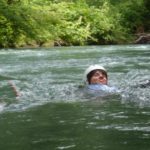 They ran two Wilderness First Responder Recertification….. I am so happy to be back teaching for Sierra Rescue after the winter break. 2013 is going to be the best year in Sierra Rescue history so far. I….. Traveling to Teach – We love what we do! 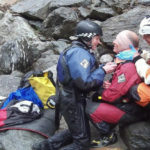 All of us at Sierra Rescue know how difficult it can be to travel for professional training. 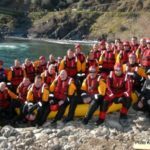 So, to make training even easier, we travel to you! 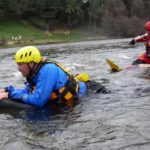 Yes, you heard…..
I’ve been editing footage from classes last spring, and found some clips from an SRT / SRT-A in Coloma, CA where we were able to get hands-on canal rescue training…..